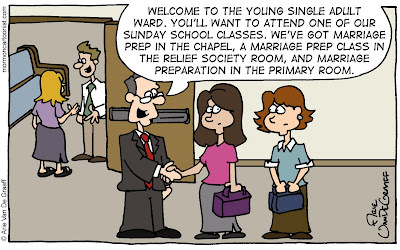 I can't help but noticing the authenticity in your comic - The ratio of three girls to one boy is exactly what I remember singles ward being like. Maybe if singles wards were more like this I wouldn't still be single. You've caught the vision, Joel. Say, aren't you still Sunday School President? Why don't you make it happen? Maybe the scripture cases are the problem? Maybe if girls had cases with March madness logos on them? I wouldn't know because the only singles ward I've ever been in was when Marc and I were dating. We were the couple on a pedastal that everyone hoped to find. 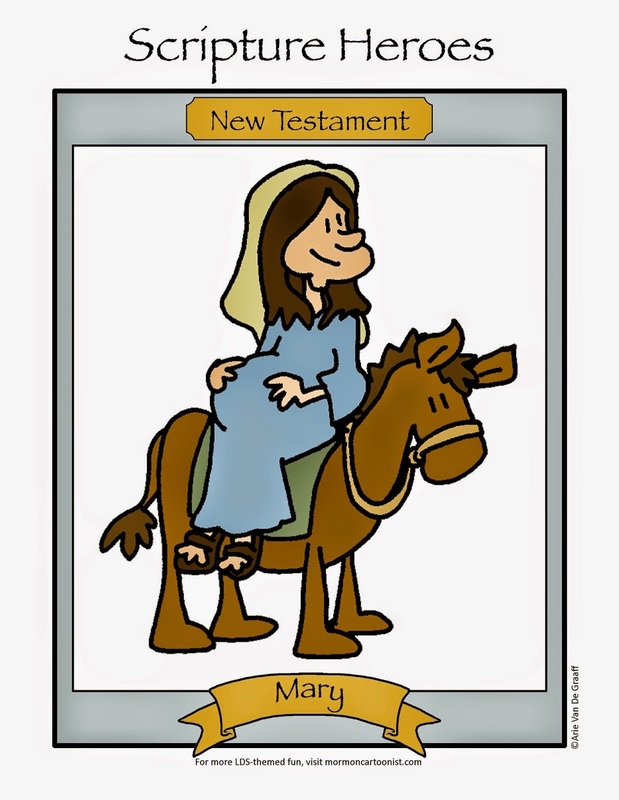 Another great idea, Mormon Hermit Mom! A few more like that and we'll have this young single adult problem licked. The problem in my area is that most of the people have done the 4 years in Utah at BYU thing and now have degrees and are too caught up in their career to stop and try to get married. Yes, even the girls. Not to mention that Portland is very liberal, even the church in Portland.